The NIV Application Commentary series is aimed at providing the best scholarly insights into the text, while also providing contemporary application. 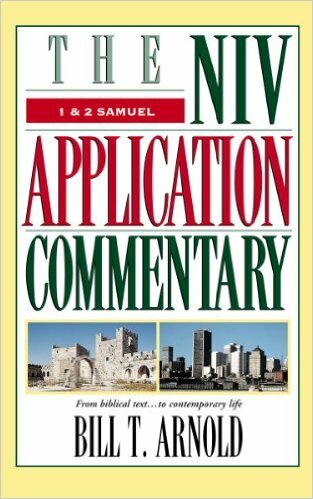 To accomplish its purpose, The NIV Application Commentary series divides comment on the text into three parts: 1) Original Meaning (“All the elements of traditional exegesis–in concise form–are discussed here,” p. 9); 2) Bridging Contexts (distinguishing the timeless message(s) of the Bible from the time-bound text); and 3) Contemporary Significance (do I need to explain this one?) Arnold’s 1&2 Commentary begins, like others, with a brief 20-page introduction. 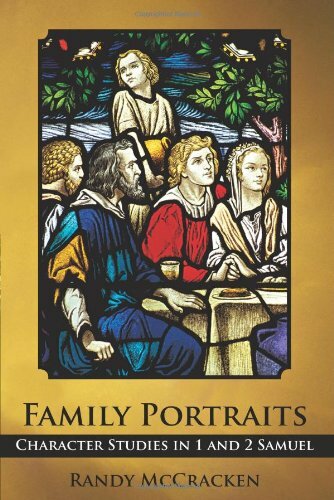 The introduction includes topics such as how to read the historical books, authorship, an overview of the contents of 1&2 Samuel, theological themes, etc. The first question is primarily addressed in 1 Samuel 1-15, while the second question occupies the material in 1 Samuel 16 — 2 Samuel 24 (p. 32). I found the second question concerning who is suitable as king to be a very insightful way of understanding the contrast between the kingships of Saul and David. In the NIV Application Commentary on 1&2 Samuel, Bill Arnold notes the key place that repentance plays in the overall storyline creating what I call a “repentance sandwich.”. Arnold notes three main theological themes in 1&2 Samuel. The first concerns the above question of who is suitable to be Israel’s king, or the messianic theme. Arnold states, “The concept of an ideal anointed one arises gradually and is sustained in the narrative” (p. 36). Another theme which grows out of the two main questions concerns the use and abuse of power. Arnold sees the messianic and power themes bound together by a third theme dealing with the nature of repentance. He insightfully points out that, “The books of Samuel . . . contribute graphic illustration to the Bible’s teaching on the precise nature of confession and repentance through the three portraits of Samuel, Saul, and David” (p. 38). The key passages are 1 Sam. 7:2-6; 1 Sam. 15; and 2 Sam. 12. Through Samuel, the first story illustrates “the nature of true confession and repentance.” In the second account, Saul, “acknowledges wrongdoing instead of repudiating it; [He] regrets his actions because they leave him vulnerable, not because they were self-destructive and offensive to God” (p. 39, author’s emphasis). The third narrative concerning repentance involves David’s straightforward confession which illustrates true repentance, the kind of repentance that Samuel had urged upon Israel so many years before. The book also concludes with a fourth story of repentance (2 Sam. 24). On this occasion, David does not even need a prophet to convict him of wrongdoing, but confesses on his own, demonstrating growth in his relationship with God. Thus, these three characters form a “repentance sandwich” (my expression). The outer layers (Samuel and David) show what true repentance is, while the inner layer (Saul) demonstrates what it is not. 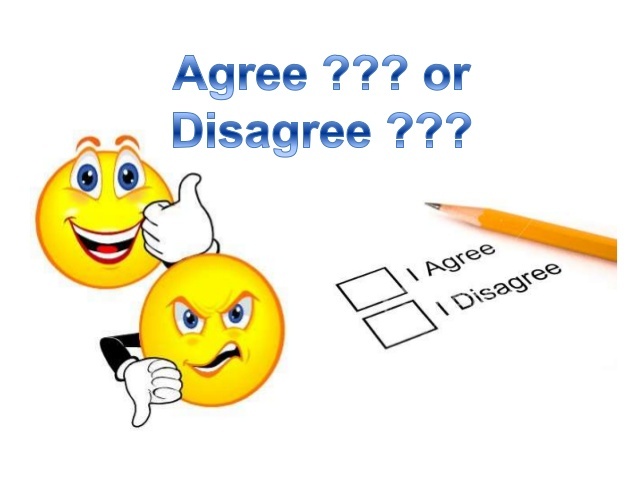 One way to evaluate a commentary is to examine how it treats important topics or controversial passages. I have a mental checklist that I go through when reading a commentary on Samuel. Some of the items on my checklist are important, others are a matter of curiosity (how is the commentator going to deal with this?). Below I have listed a few of the items on my mental checklist. This is not an exhaustive list, nor will I have space in this post to reflect on how Arnold deals with each of these. However, after sharing the list, I will examine Arnold’s interactions with some of the items on my list. How does the commentator approach the authorship of 1&2 Samuel? (How one perceives “Deuteronomistic authorship” often colors one’s interpretation of the text). Does the commentator consider Samuel to be a positive or negative influence on the narrative? 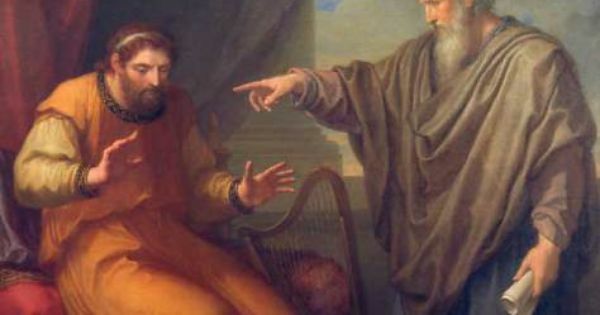 Is Saul responsible for his sin, or is he a victim of a capricious God who decided from the outset that Saul would be condemned? Which reading does the author prefer concerning Goliath’s height? (this is just a matter of curiosity, but see my article Goliath’s Height). How does the author treat the problem of Saul not knowing who David’s father is in 1 Samuel 17:55-58? (Another matter of curiosity over a notoriously difficult passage). Is the commentator’s view of David wholly positive until his sin with Bathsheba, or does he see the narrative as reflecting faults earlier in David’s life? Does the commentator use a “hermeneutic of suspicion?” Which means, does he see the biblical author trying to defend a cunning David who manipulates circumstances regarding the deaths of Saul’s family members, or does he accept the author’s statements that David is innocent? Does the commentator view David and Jonathan’s relationship as homosexual? How does the commentator resolve the problem in 2 Sam. 21:19 which states that Elhanan killed Goliath? What is the commentator’s evaluation of certain characters whose actions are, at times, ambiguous? (e.g., Abner, Joab, Mephibosheth, or Ziba). Concerning whether Saul is a victim or a free moral agent (#3 above), I believe Arnold is correct in stating, “[Saul] fails to accept the structure of authority established for him by Yahweh and his prophet Samuel at the time of his appointment (1 Sam. 13:14). . . .Thus, Saul’s guilt derives from his determination to usurp power rightly belonging only to Yahweh and his servant Samuel” (pp. 200-201). This is an important point in understanding the kind of person Yahweh is looking for as Israel’s king, and it is a point missed by those who accuse God of being either arbitrary in his forgiveness (Brueggemann), or showing his “dark side” (Gunn). 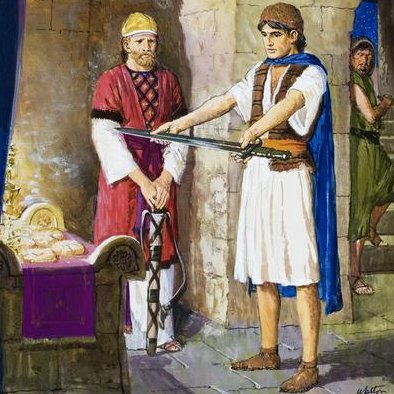 Contrary to Arnold’s interpretation in the NIV Application Commentary on 1&2 Samuel, I believe David’s request for a sword demonstrates a lack of faith. One point of disagreement I have with Arnold is his interpretation of certain stories of David’s flight from Saul (#6 above). For example, when David is fleeing from Saul, he goes to the high priest Ahimelech where he receives bread and Goliath’s sword (1 Sam. 21). Arnold’s take is that the sword reminds David of the victories of his youth while his contact with the priests show him turning to the faith of his childhood (p. 310). I believe that David is much more like Abraham. Both men show faith in God, but they have their ups and downs as they experience doubt and fear and occasionally step out in the flesh. I think that David’s lie to Ahimelech, along with his request for a sword (which contradicts his statement of faith in 1 Sam. 17:47), demonstrate a lack of faith on this occasion. One of the things I appreciate about the NIV Application Commentary on 1&2 Samuel is that Arnold listens to the voice of the narrator and takes his message seriously. In other words, Arnold does not get caught up in a “hermeneutic of suspicion” (#7 above). When David mourns over Saul and Jonathan (2 Sam. 1), or puts to death the men who murder Ish-bosheth (2 Sam. 4), or shows kindness to Mephibosheth (2 Sam. 9), the narrator seeks to show that this is all in agreement with David’s stance toward not lifting a hand against the Lord’s anointed and honoring his covenant promises to the house of Saul. Arnold sees clearly that 1&2 Samuel is earnestly seeking to demonstrate David’s character and integrity. For example he states, “The narrator has been clear from the outset: This anointed one, unlike Saul, is driven only by the promises of Yahweh and takes action under Yahweh’s leadership” (p. 422). Furthermore, Arnold states, “David is celebrated in these texts as the ideal king, who willingly submits to God’s timing and direction and consistently repudiates the way of power politics and force” (pp. 445-446). A hermeneutic of suspicion destroys this key teaching of 1&2 Samuel, therefore, I believe that Arnold has done us a service by helping us to hear the text more clearly. There are many other areas of both agreement and disagreement I could cite, but the disagreements are minor and overall I have found Arnold’s commentary on 1&2 Samuel to be very informative and a delightful read. The NIV Application Commentary Series is designed for the teacher, pastor, and serious student. Someone new to the books of Samuel or to the study of the Old Testament might find themselves in deep water at times, but it’s well worth the effort. Thanks to Arnold, I discovered many new insights and perspectives on 1&2 Samuel and would highly recommend this commentary to anyone interested in an in-depth study of these books. Previous PostWhere is King David’s Tomb?Next PostIs King David A New Adam?